Homemade almond milk is ABSOLUTELY DELICIOUS and surprisingly simple. It’s way tastier than any boxed variety I’ve had to date. I found my inspiration on this terrific (dairy-free) site… but changed it up a bit for a creation of my own. Why? For one, I rarely use that much salt in anything. I’m also not a huge fan of sweetness, so I opted out on the Vanilla extract and used Amber Agave Nectar instead of Maple Syrup. 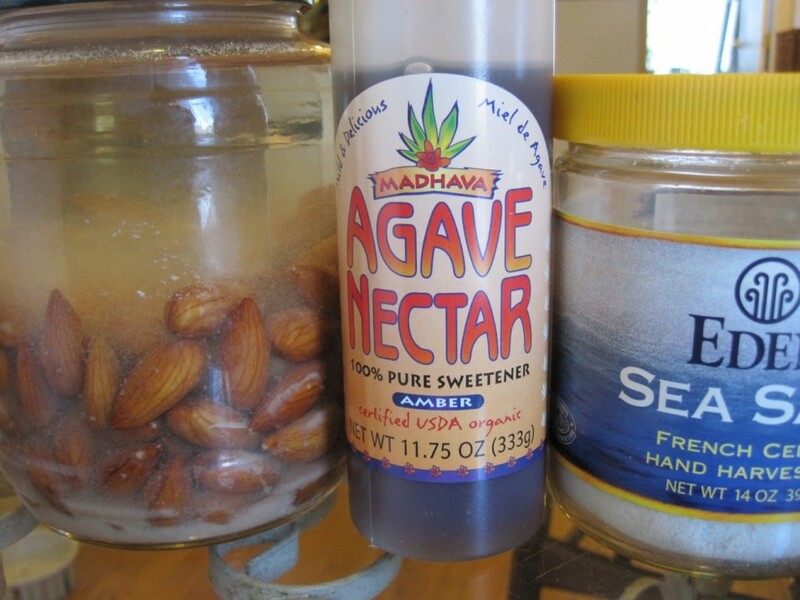 Add to blender: 2 cups of soaked almonds, a squirt of agave nectar (about one tbsp), a pinch of sea salt and 3.5 cups of water. If you prefer a sweeter milk add a tsp of Vanilla or an additional tbsp of agave. 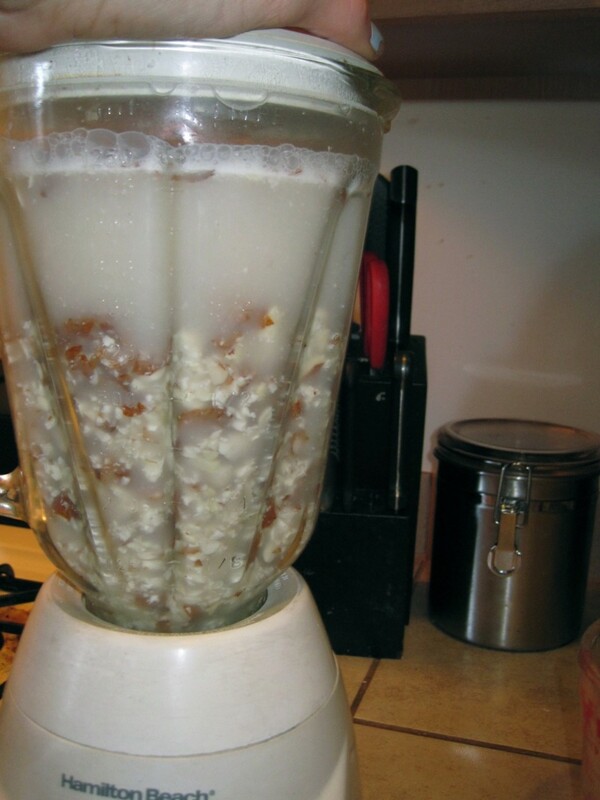 Keep blending (more than the picture above) for about a minute or so until the almond reduces to a fine pulp. 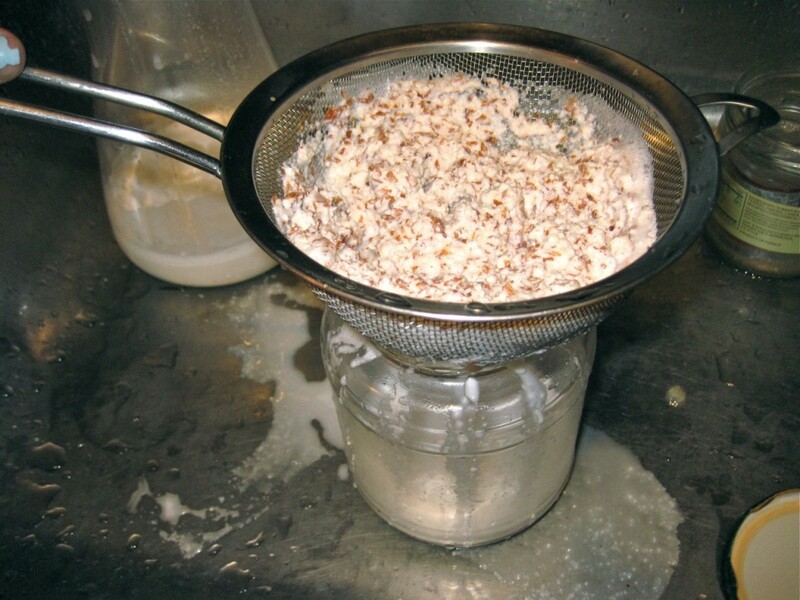 Pour the mixture through a sieve to separate the milk from the pulp. 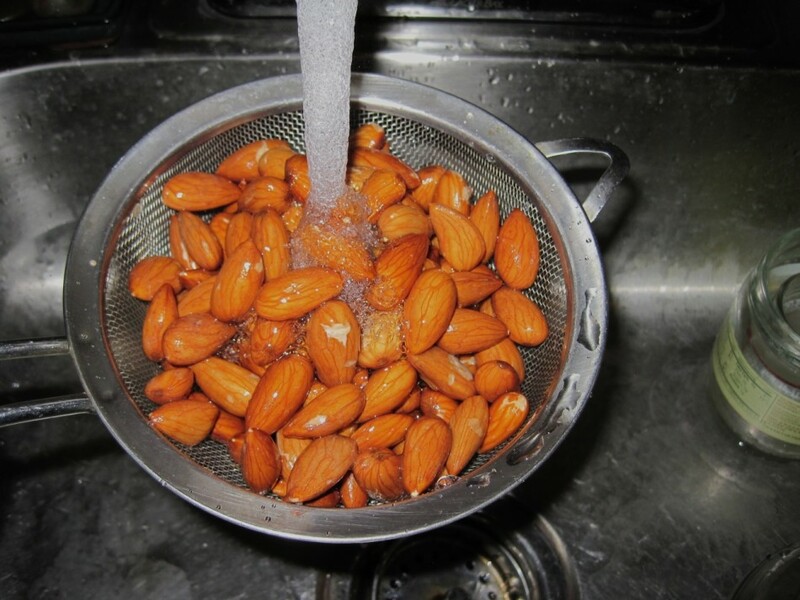 Save the almond pulp for another cooking project. I poured the freshly made milk over my granola this morning and put the rest away. Store the milk in a glass jar in the refrigerator for up to a few days… and enjoy!! Note: separation is natural, just shake it up before use. 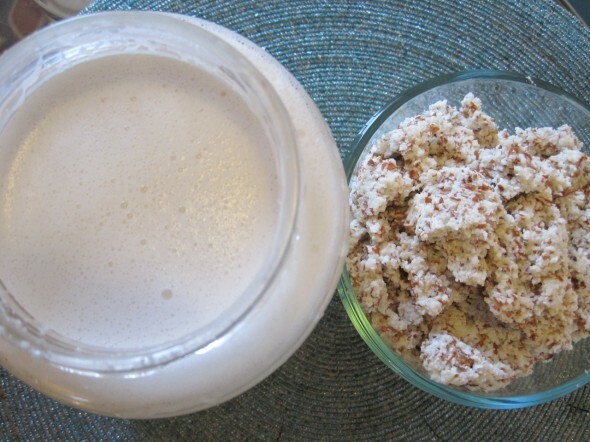 February 23, 2011 | Filed under breakfast, MIY (make it yourself), vegan and tagged with almond milk, diy.